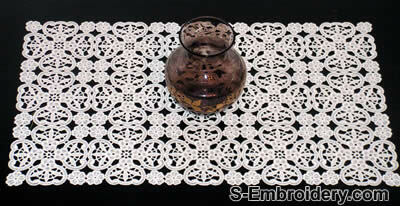 This lace design will produce a beautiful table runner. It is available both in one and 2-color versions. 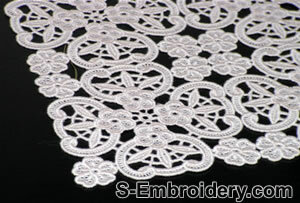 You receive 2 embroidery files.